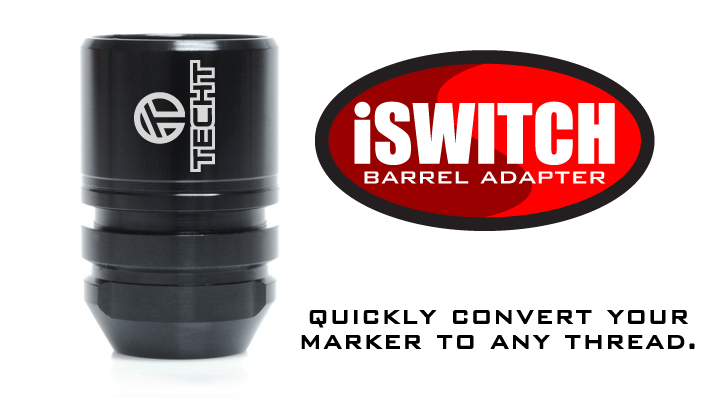 The TechT Tippmann A5/X7 iSwitch Adapter allows Tippmann owners to change the barrel thread adapter in their marker to one that accepts "Autococker" style threads. 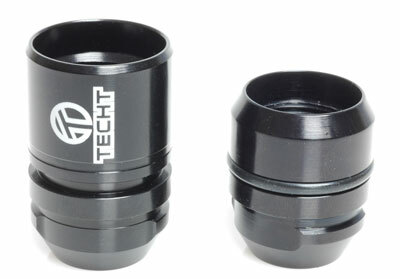 The adapter seen above is for the Tippmann A5, X7 and Phenom. It differs from the other barrel adapters out there in that it replaces the guns built in adapter. This will work with the BT Delta Elite and similar markers as well as the Tippmann. We do plan on making more thread conversions, however at this time we only are offering A5 to Autococker. Theres no need to buy different barrels anymore, now you convert all your Tippmanns to fit the Autococker threaded barrels that you may already have in your gear bag. This adaptor allows you to make your A5, X7 and Phenom now accept Autococker or Ion Threaded Barrels. Great for those who already have a bunch of Autococker and Ion barrels. This adaptor allows you to make your A5, and X7 now accept Ion and GOG Threaded Barrels. Great for those who already have a bunch of Ion barrels.